Swish! And as quick as that, the entire collusion picture turned on a dime and the Democrats are in panic mode looking for life boats to save themselves from their sinking ship. Of course, always keep in mind that with Democrats the inevitable never happens, the unexpected always does. So beware! The first inditement against the Obama-Clinton cabal has been launched against Obama’s White House counsel, Greg Craig. It appears he didn’t register as an agent for a foreign government, the Russian backed Ukrainian government, and lied about it! Oh, bother. It’s those silly little things that ‘elites’ fail to do that gets them into trouble? Isn’t it? It started when Attorney General Barr was asked a direct question by a Democrat Senator on the Senate Intelligence Committee, publicly, that opened the door through which Conservatives are flowing to seize control of the fallacious collusion farce recently concluded by Special Prosecutor Robert Mueller. 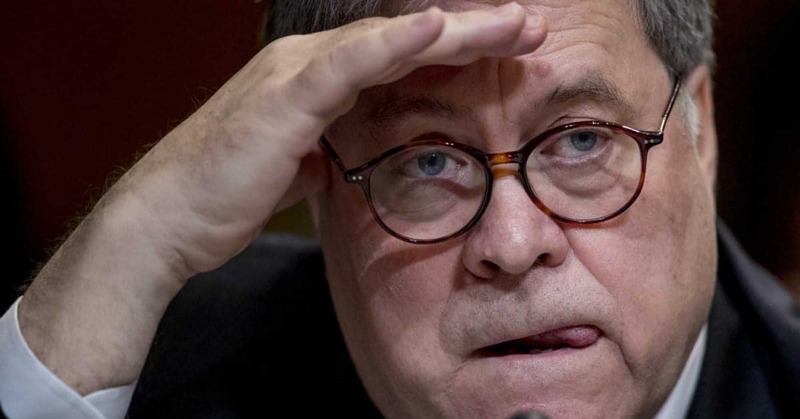 The Senate Democrats tried to force AG Barr to admit that he, Barr, at Trump’s insistence, forced Mueller to end the Trump-Russia investigation prematurely before Mueller could find the certain evidence of Trump collusion. No! Barr said that he and Mueller agreed that nothing was found that showed Trump or any of his associates, colluded with the Ruskies but, that many other questions on procedural issues concerning the FISA Warrants by the FBI, had to be investigated. 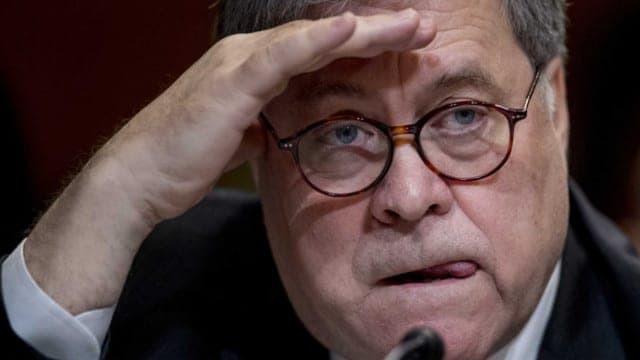 Barr correctly denied the agent corps of the FBI was involved, only the embedded Deep State intellectual elites who launched their treasonous Coup against Trump to save the Obama/Clinton empire and themselves, because Clinton didn’t win. Not the answer they Left was looking for, or their media collaborators either. Immediately, an outraged Chuckie Schumer, in an attempt to stem the bleeding, demanded that Barr retract that damning statement at once, as a mere ‘conspiracy theory’ rumor. There’s the pot calling the kettle black! It’s too late! I suspect Barr had already set in motion the round up of the Obama-Clinton’s cattle herd of deep state criminals, starting with Obama’s White House Counsel Greg Craig. Then came Julian Assange, GRU Spy handler. The collapse coming! At the same time the clueless Chair of the House Finance Committee, the elderly Democrat auntie Maxine Waters, always ready at a moment to be odd, thinking she exercised some superiority after crossing swords with Treasury Secty. Steve Mnuchin the day before, chose this scene to pose a question directly to several subpoenaed Wall Street bank CEO’s, that revealed her complete incompetence and lack of preparation, by asking them just what they were going to do to help alleviate the high and growing costs of college loans. Well, Nothing, because….! Their answers were simple: they got out of the student loan business ten years and more ago, student loans being assumed by Obama’s government. The silence was deafening and immediately turned her committee into a Midway minstrel show showing the lowest depth of justifiable silliness to which a Democrat House committee can descend when led by an incompetent. While we may weep with joy at confirmation of their well earned reputations as stupid fools, let’s not take our eyes off those other three noisy Nimrods of intellectual acumen, Adam Schiff, Chairman of the House Intelligence committee, Jerry Nadler, Chairman of the Judiciary committee, and not to be left out, Elijah Cummings of the Oversight committee.